Delivered in over 140 countries worldwide, The Duke of Edinburgh’s International Award (The Duke of Ed) is the world’s leading youth achievement award. The Outdoor Education Group (OEG) is here to support you with The Duke of Ed Adventurous Journey section. We work in partnership with, and under the guidance of The Duke of Edinburgh’s International Award to ensure all Adventurous Journey requirements are fulfilled. The Duke of Ed and the Outdoor Education Group (OEG) share common ethos in our desires; to encourage young people to experience the outdoors and discover their sense of adventure; to set themselves a challenge and to persevere in that; to form positive relationships with themselves and those around them; to allow them to experience the highs and lows of adventure and challenge. Through The Outdoor Education Group Adventurous Journey Expeditions participants will be given all the tools they need to meet and exceed the expectations of The Duke of Ed. Qualified and experienced instructors will train and accompany every group, with an expectation that during the practice expedition, students are able to learn from their instructor, and then have an opportunity to demonstrate their skills during the qualifying expedition. OEG offers individual participants with the opportunity to join our Duke of Ed Adventurous Journeys. If you’d like to challenge yourself, make new friends and have an adventure you’ll never forget read on! Please note medical forms must be completed for each participant. Upon completion of the booking process you will be sent a link to submit medical information for your child. Get the right gear for your program without leaving home. OEG in partnership with One Planet have created a simple and easy online ordering system where you can select all your personal equipment needs and your purchases are delivered directly to you. For more information and to visit the website, click on the Camplist logo. As you know The Outdoor Education Group (OEG) takes our duty of care towards our participants very seriously. As such we are adopting a new method of collecting medical information via an online app called CareMonkey. 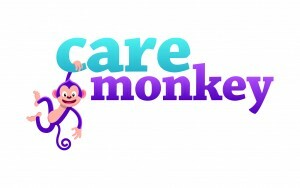 As a parent we will send you an email from the CareMonkey system inviting you to enter the details for your child in an electronic medical form. Please share the form with OEG. From OEG’s perspective, this information will only be accessible by the relevant staff for your child. However, if you choose, you will also be able to share this information with anyone else you trust with your child’s care – their grandparents, their child-minder, their sports club, etc. We appreciate your assistance in this new and innovative way to collect important medical information for our programs. Food is one of the most important aspects of an outdoor education program. It is expected that all students will plan their meals before attending the expedition. To meet the requirements of the Award it is also expected that participants will prepare and cook fresh food for each meal. The main consideration is going to be weight if you are bushwalking. Consider that you will be carrying, clothes, a sleeping bag, a sleeping mat, and group equipment. All food is carried including enough nourishment and energy for the whole time you are out in the bush. Students will be cooking on a ‘Trangia’ stove. This consists of a burner using liquid fuel and a collection of pans, in which you can cook up a good meal. OEG will provide Trangia’s for 3 people to share. OEG has a no nuts policy. Please ensure your child does not bring nuts or nut products on this program. Due to the increased incidence of severe allergic reaction to nuts, it is essential that students do not bring nuts on any OEG programs. OEG maintains a policy of no peanut, tree nut or their derivatives as listed ingredients. (eg. Peanut oil, Almond meal). OEG Catering has staff available to discuss catering options for program participants. Meat (e.g. chicken, ham, tuna or salami) and salad sandwiches. Flat breads, savoury crackers, cheese, capsicum, cucumber, alfalfa, carrot, avocado, dips/mayonnaise. Fresh fruits. Designed to give a much needed energy boost in the afternoon, including muesli bars, biscuits, popcorn, chocolate or fresh fruit. Dinners need to contain a carbohydrate such as pasta, rice, noodles or potato, protein such as meat, cheese and fresh vegetables. Dehydrated vegetables may be used if lighter weight foods are required for Silver and Gold level. Instant custard, sweet biscuits, fresh fruit, packet mousse, pudding mix. Powdered milk can be carried to save weight. Remove all excess wrapping before attending your expedition. Think about the quantity of food that you will need, so that you do not carry too much excess or waste. The Hawkesbury river offers participants a unique journeying environment. Students can develop their skills along the way and experience flat and moving water. Camping will be in tents with access to basic ammenities at caravan parks, and bush toileting at more remote camping sites. The Hawkesbury River is one of New South Wales’ best kept secrets, and only one hour north-west of Sydney. With 17 small towns and villages to explore, 5 rivers, and more than 70 percent of the area being National Parks, The Hawkesbury can offer adventure, nature and a colourful cultural history. Adventures abound, with a total of 145kms of river to journey in and explore. A Canoe Journey through one of the largest coastal lagoon systems in the world. Myall Lakes is an internationally recognised wetland classified as a RAMSAR site, due to its rich biodiversity. This brackish lagoon offers shelter to practice Canoeing skills and journeying. The challenge of paddling these lagoons will be balanced with the opportunity to spend time on sandy beaches and look out over the crystal clear bays. Accommodation is at bush camping sites with some rustic amenities. One of the state’s largest coastal lake systems – a Ramsar Wetland of International Significance – and 40 kilometres of beaches and rolling sand dunes make Myall Lakes one of the most visited parks in NSW. Myall Lakes is an Aboriginal word meaning ‘wild’. Aboriginal shell middens occur frequently along the coast and on Broughton Island. Excavation has revealed the bones of dingoes and macropods as well as fishbones, shells and implements. There was a substantial timber trade on the lakes. Cedar trade commenced in 1816 and was well established by the early 1820s. In the early 20th Century the residents of the Myall Lakes could travel only by water. Supplies were brought in by the storeboat “Nepean” travelling from Tea Gardens around the lakes. The vessel carried food, medicine, clothing, hardware etc. Mining for mineral sands commenced in the late 1960s. In 1972 Myall Lakes National Park, a small area on the eastern side of Myall Lakes, was established. Mined areas were revegetated. The national Park was extended in 1976 to include the western side of the lakes. All sand mining in the National Park ceased in 1983. OEG utilises many sections of the Great North Walk from Sydney through to Yarromolong. The trail was created in 1988 and is 250km long. Groups will complete a section of the walk during their expedition. Students will primarily use bush toilets. The Great North Walk is from central Sydney to down-town Newcastle in Australia. It is a wonderful trail following many tracks through a bewildering array of natural and urban environments. Created as an Australian Bicentennial project, the Great North Walk is rich in the history of New South Wales. It is suitable for trips anywhere from 2 days onwards, and access is great, given that many parts of the walk are close to public transport. This group will explore the beautiful Kosciusko National Park. This is alpine country which offers participants a unique challenge. The weather can change dramatically and quickly. Students will need to prepare for all situations. Camping remotely and using bush toilets. Students will be expected to carry everything out that they carry in. The rewards for journeying in this environment are truly worth it! Explore the rugged alpine landscape of Kosciuszko National Park. This stunning park, offering winter snow and fresh clean air in summer, offers visitors an endless choice of excitement. Climb Australia’s highest peaks, enjoy the alpine flowers and breath taking views. Students will journey through Bangadilly National Park, Biloela and Belanglo State forest. Navigation and terrain will challenge students in this natural bushland environment and enable them to grow their outdoor skills. Camping will be in tents and toileting will be using bush toilets. Whilst journeying in this landscape, students will stay for at least 1 night at Biloela Bush Camp. This 99 hectare property backs on to State and National Parks and offers unparalleled opportunity for local and extended expeditions, exploration and discovery. Biloela is far enough removed from urban life to feel remote and unspoiled, yet it is only 20 minutes from Bowral. 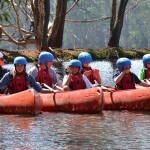 Biloela Bush Camp is owned and operated by The Outdoor Education Group. Our purpose built property is perfect for students to utilise during their expedition. Expeditions through Sydney and surrounding areas offer students an unique opportunity to ‘explore their backyard’. Utilising the green corridors that link the harbour to the surrounding National Parks, Students will discover historical sites and ancient trails. Students will carry everything they need for the expedition. Camping will be in tents and bush toileting. There will also be access to basic amenities at some campsites along the way. At OEG, Risk Management is at the heart of everything that we do; before, during, and after program. For each specific program, there are detailed components of both our proactive and reactive strategies. It is a requirement, by law, that OEG implements processes and systems which endeavor to ensure, as far as reasonably practicable, the safety of all; staff, participants, and others who are associated with our programs. Our standards align with Adventure Activity Standards, as well as international standards, and reflect over 30 years of industry leading experience. OEG policies and procedures meet or exceed all external compliance measures for outdoor education (e.g. staff training, ratios, and equipment audits); these are reviewed on an ongoing basis, with annual audits to ensure that OEG continues to improve our systems and practices in the field. OEG emergency planning and critical incident response strives to cover all predictable and known hazards of outdoor education in the Australian environment, ensuring all staff are well equipped and prepared. Our internal compliance processes are second to none and reflect our commitment to on-going review and improvement. A fundamental proactive component of the OEG method of both risk management and informed consent is the Program-Specific Descriptors. These are the parameters within which OEG plans to manage potential emergencies based on program design. See below for the detail of this program as related to; Communication, Program Access, Support Staff, Challenge Level, and Participant Preparation. For any OEG program, general Risk Assessment and Management strategies are documented via our Administrative Practices and Field Practices Manuals. For each program, an additional specific Risk Identification, Assessment, Evaluation, and Treatment process has been done via the OEG Hazard Identification and Risk Assessment (HIRA) form. This identifies and analyzes hazards specific to each program and defines any actions required to mitigate them to within OEG’s Risk Tolerance. During any OEG program, our highly trained field staff work in partnership with school staff members as a teaching team dedicated to delivering a quality education experience. The understanding of ‘healthy risk-taking’ is an important component of the life skills that OEG imparts during our outdoor education programs. Through dynamic Risk Assessment, OEG staff members create opportunities where participants are encouraged to understand and take the risks needed for growth while learning how to identify and mitigate the risks which may lead to misadventure. We will work with you during your prep meeting to plan out your route – your focus can be determined by the group. Do you want to focus on navigation skills, accomplish as many kilometres as possible or combine the two? Undertake preparation and training relevant to your planned journey and skill level. We will hold a prep session before each expedition. This will help you get to know your group mates; think about what to pack and how to self-cater as well as having a look at the route you will take. You will be accompanied by a qualified OEG Group Leader and if you are participating in the journey as a practice, they will support and teach you about navigation skills & your surroundings. During your qualifying expedition they will be present to advise, support and assist if there are any issues. Ensure there are a minimum of four people in each AJ group, with a maximum of seven. You will be walking with no more than 14 people, split into smaller sub groups of around 5 people. Ensure both the practice & qualifying journeys are of a similar nature and duration, in a similar environment. If you are using a different journey as either you practice or qualifying, no problem. Just make sure you pick one that matches your travel method to ensure it fits the requirements. If you’re not too sure, chat to your Award Leader or send us a message. Only utilise simple self-catering accommodation (e.g. shelters, tents, hostels). Make sure you get approval from your Award Leader – they will be the one to sign you off once your entire Award is complete. Write a diary; take photos or videos as you go as you’ll need to submit a journey report to your assessor.